Setup another station to bump fish into the tournament weigh-in. Anglers or teams can check into the weigh-in and have their fish counted then be placed into a weigh-in list by order that they have checked in. At the weigh-in station, they are automatically selected to be weigh by first in, first out. 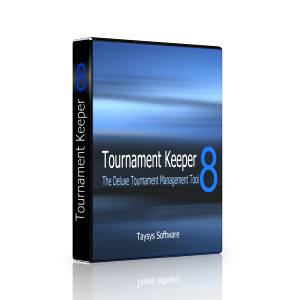 This add-on is available for any edition of the Tournament Keeper but does require the program to have more than a single user access. A Client Access License (CAL) may have to be purchased to utilize the add-on module. The SMS Text add-on allows the Tournament Keeper to send text messages to any of the members, anglers or teams in the system. The text messages are sent through Twilio, so an account must be setup with Twilio.com to use this module. More detailed information is available in the documentation. Also, SMS message costs can be found at How Twilio’s Pricing Works. I think you’ll find that each single message will cost less than 1 cent.